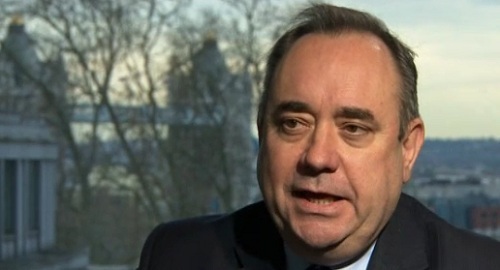 politicalbetting.com » Blog Archive » Is Alex Salmond one of the day’s big losers? Is Alex Salmond one of the day’s big losers? Why did the SNP make Glasgow their key target? In our PB prediction poll a couple of weeks ago a reasonable majority of participants said that the SNP would win control of the city of Glasgow. That was understandable given the hype that was coming from north of the border. For weeks this has been paraded as Alex Salmond’s big objective for May 3rd and the latest news is that the SNP has fallen short by some distance. In fact Labour has actually won back overall control. The “SNP taking of Glasgow” very much shaped the narrative about the elections in Scotland so much so that the party’s failure will come as an even bigger big set-back. This calls into question the so called “Alex Salmond magic” that we saw a year ago in the Holyrood elections. His political reputation is tarnished and that might have reprucssions in the independence negotiations and referendum. Salmond’s not quite the invincible force that he was. Why oh why did such a smart operator allow a target to be set which wasn’t achievable? We’ve seen time and time again that the Scottish Labour party is brilliant at elections particularly when it’s back is to the wall. Maybe the revelations in the past few days about Salmond’s lobbying on behalf Rupert Murdoch have had an impact. Who knows? Whatever the SNP’s hubris was a mistake and could cost them dear.